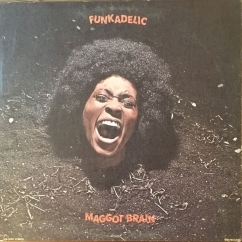 The nebulous, still-forming blend of acid rock and sludge funk that characterized Funkadelic’s early recordings came into sharp focus with Maggot Brain, their third studio offering. The jammy, occasionally shapeless noodling of the last two records is gone, replaced by concise, definitive funk classics that find all players working in hive-mind sync. 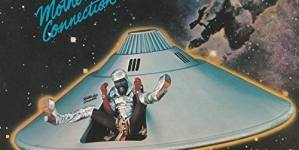 Even the album’s most extended, frenetic moments have a clear sense of compositional logic, and it is here that Eddie Hazel emerged as the first, and truest, heir to Jimi Hendrix’s vacated throne. Funkadelic albums are showcases for all musicians, but Maggot Brain stands among the pantheon of guitar albums, the culmination of newly opened possibilities for the instrument at the end of its first decade of radical evolution. 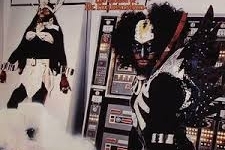 Nowhere is that more evident, of course, than the opening title track, an epic instrumental so steeped in legend that George Clinton’s apocryphal command to Hazel to “play like your mama died” has passed into the realm of accepted truth. Clinton’s harrowing spoken-word introduction immediately lends the track an apocalyptic vibe, his word-images of maggots infesting the mind of the cosmos bypassing protest rock for arguably the most precise, terse encapsulation of post-‘60s malaise. Yet the guitar line that rolls out from this hellish announcement is cautious and mournful, layering Tawl Ross’s elegant, looping pattern in the background behind Hazel’s warbling sustains. There is, admittedly, not much funk to be had here, with the rhythm section holding at barely audible decibels as they mark time in the margins of the stereo panning to leave all the space in the center for the fading hisses of Hazel’s guitar. In a way, the locked rhythm anticipates the sturdy anchors that would be the cornerstone of Krautrock’s own forays into psychedelic funk, and the constancy of the beat makes the increasing frenzy and agony of Hazel’s playing that much more of a rupture. His wailing lines, thick with fuzzed-out chords for added punch, are self-lacerating screams of pain. Few things look worse on paper to the urgency of rock than 10-minute solos, but Hazel never once lapses into tedious arpeggiated licks or showy theatrics. “Maggot Brain” remains the single greatest guitar solo committed to a studio recording precisely because Hazel consistently tethers his work back to its emotional core. The track is the logical continuation of Hendrix’s “Machine Gun,” replacing the shrieking sounds of gunfire and death with the horrified cries of the last man left in the universe looking out over all the destruction. About halfway into the track, Hazel drops down to a soft jitter, occasionally bursting back into the main riff but sinking entropically into the misery of isolation, space rock as Lovecraftian horror. The long, slow collapse of pain into exhausted monotony is the last word on the failure of the counterculture to effect change, and short of the first Black Sabbath album there is no better musical encapsulation of the death of the 1960s. By default, the rest of the album has spent the intervening 50 years in the shadow of the opening composition, but Maggot Brain’s pleasures extend across its entire length. 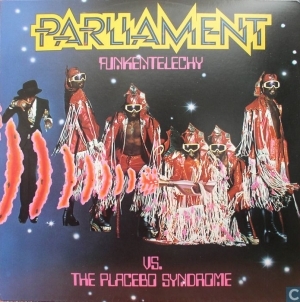 The barroom piano and shimmering acoustic guitar that lurch into the laidback funk of “Can You Get to That” immediately testify to the stylistic and tonal leaps that Funkadelic can pull off with ease. The bouncy number mixes folk rock with doo-wop, chucking in girl group vocals punctuated by a deep bass male vocal. “You and Your Folks, Me and My Folks” is straight trad-funk, all smooth piano trills interlaced by Billy Nelson’s thick, gurgled bass chords and shredded by Hazel’s squealing treble. That simple composition is matched by the avant-garde swing of “Back in Our Minds,” which places springy percussion front and center in the mix as the track engages in a club-footed shuffle that scrapes along the dancefloor with a bassline that keeps loping in and out of rhythm. The two key standout tracks of the rest of the album show two additional sides of the band’s personality. “Super Stupid” is pure acid, kickstarting the second side of vinyl with a squall of feedback that then rolls into a jittery, revved up castigation of zonked-out addicts. Like an impressionistic rendering of one of James Brown’s social message funk songs, the track embodies the frazzled, bleary-eyed perspective of the doper, Hazel’s guitar lines slashing in with all the painful intensity of sunlight bursting through blinds during a hard comedown, and the rhythm section keeps deliberately rushing the beat in speed-freak sloppiness. 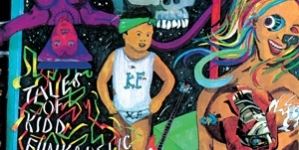 The wry ferocity of the track is then exploded in closer “Wars of Armageddon,” which sets a bedrock of dubby percussion that then explodes into polyrhythms and Hazel’s chaotic leads. The free jazz mirror to the title track’s soul, “Wars of Armageddon” is a pure nightmare to conclude the album’s multivalent embrace of end times. Nonetheless, the band shows defiance in the face of annihilation, and in their ability to party in the face of their own sonic maelstrom are the first seeds of the apocalyptic disco that would beget Funkadelic’s quintessential scion: Prince. Maggot Brain’s progression across maladies both social and cosmic is harrowing, but it is never less than compulsively listenable, and it marks the first masterpiece in what would become a string of classics in the P-Funk catalog.